Capabilities that are widely diversified yet customer specific. NAS’s accumulation of inventory and a wide array of services is a result of implementing customer specific programs for more than 25 years. 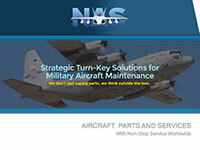 Engines, components and structural items are NAS’s area of expertise.